Quick & Cheap > Knowledgebase > Promotion articles > HYIP, PTC, Autosurf hosting available? HYIP, PTC, Autosurf hosting available? Yes, HYIPs, Paid to Click, Autosurf sites can be hosted at instantcpanelhosting.com. For HYIP, PTC, Autosurf site, You must order a VPS (not classic shared hosting). 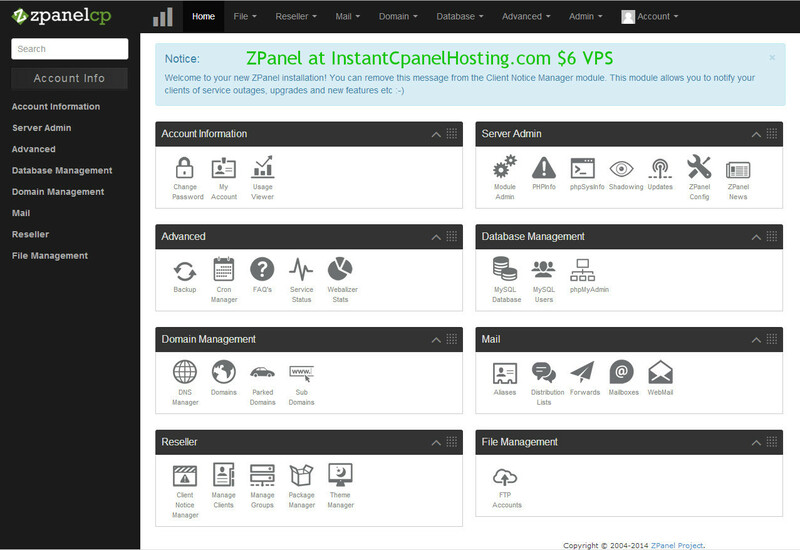 On the http://instantcpanelhosting.com/cart.php?gid=4 you can see the VPS hosting plans. "centos-6-x86_64 - Linux Apache MySQL PHP + ZPanel"
After PerfectMoney, Bitcoin.. payment VPS should be setup intantly and you able to login your hosting control panel. After order, you can let me know and i will install software firewall on your VPS free of charge. It is highly recommended so your hosting is more stable and website more online.